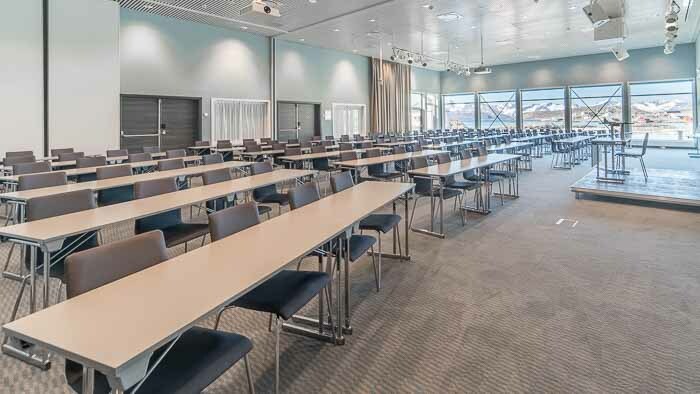 Modern meeting rooms from 2 - 300. 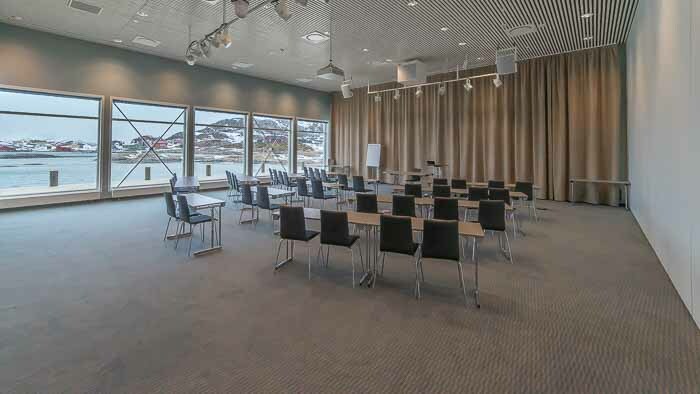 Sommarøy Arctic Hotel Tromsø has 12 conference rooms of varying sizes with capacity from 2 to 200 people, in cinema setup up to 300. 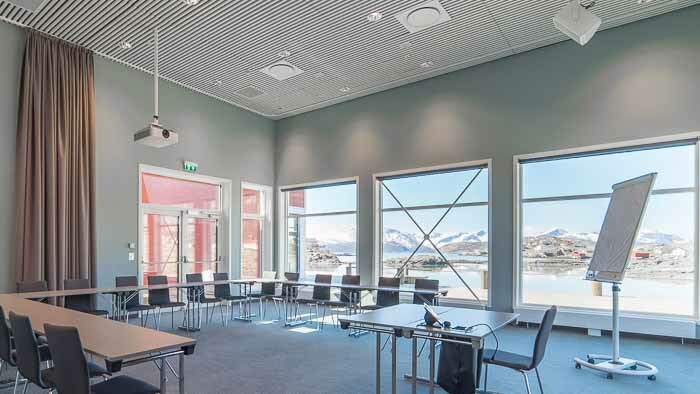 Our meeting rooms have lots of natural lightning and lovely view to sea, mountains, northern lights and Midnight sun. 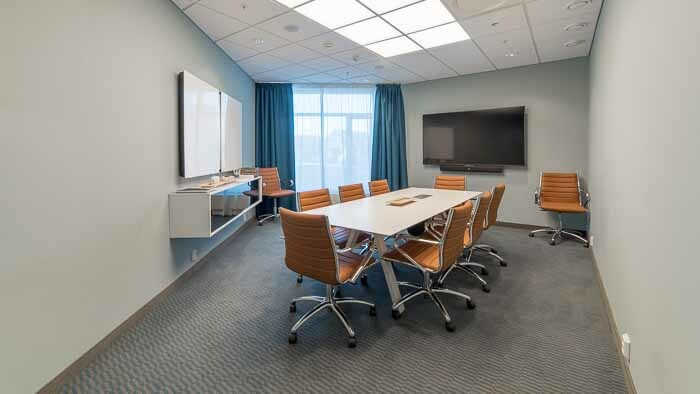 All conference rooms have top quality equipment and was built in 2017. 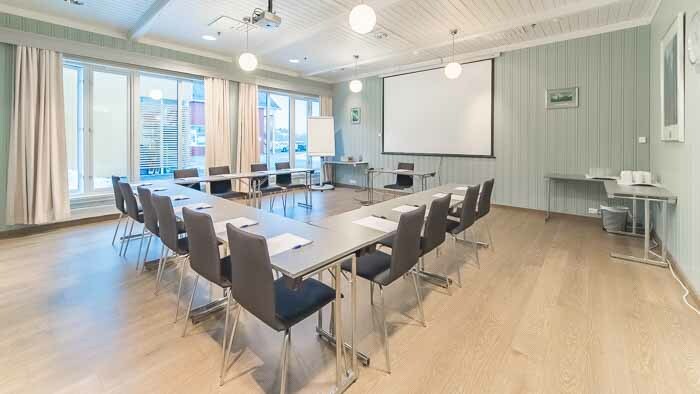 A unique placement in a natural gem, outside Tromsø in Northern Norway, gives good working environment, winter as summer – year round. Sommarøy village with its 350 happy people. Local food we are proud of. Sauna and fitness room at hotel for free. Bathhouse with hot tub and sauna. High speed WIFI fiber internet. 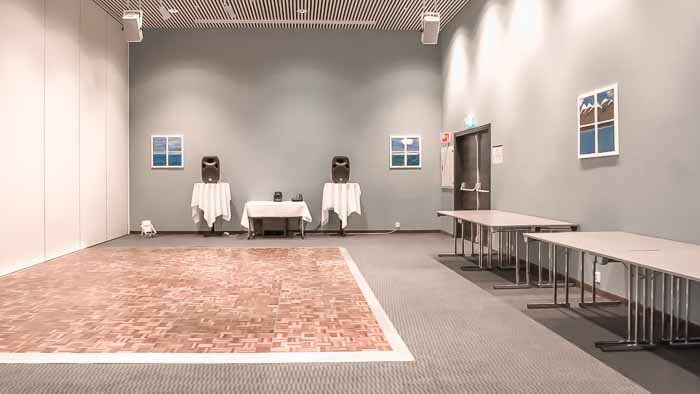 Video link between Kaihuset and Styrhuset. Our grand room with fantastic sea view and direct access to pier. The front of Kaihuset, also with fantastic sea view. The inner part of Kaihuset, no windows. The smaller neighbour of Kaihuset, with direct access to pier. The front of Styrhuset, with fantastic sea view. The inner part of Styrhuset. 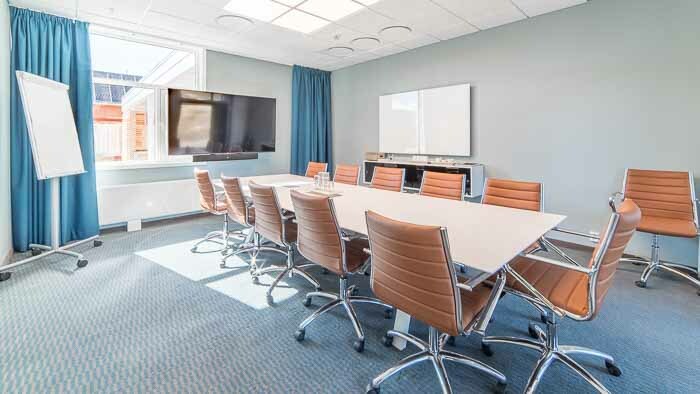 Meeting room for eight persons just by the lobby/cafè. 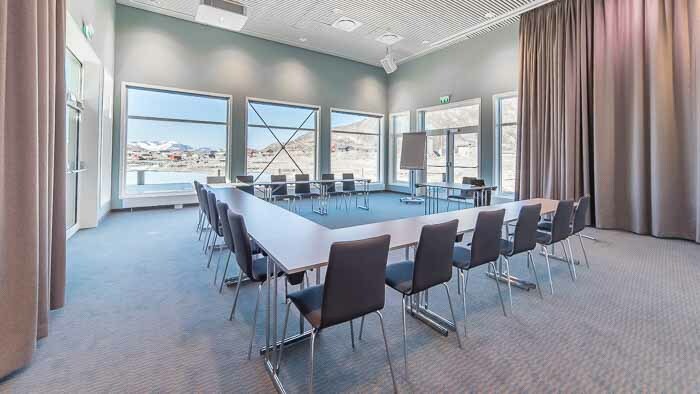 Meeting room for 10 persons, lovely view to Hillesøytoppen and lots of natural light. 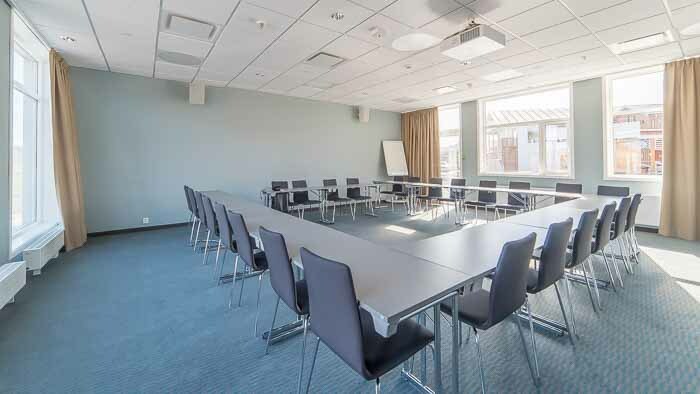 Meeting room for 12 persons, with view to courtyard. 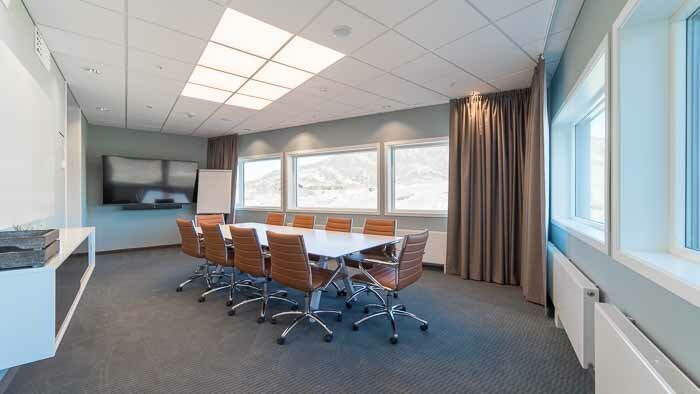 Medium sized meeting room with lots of natural light from both sides. 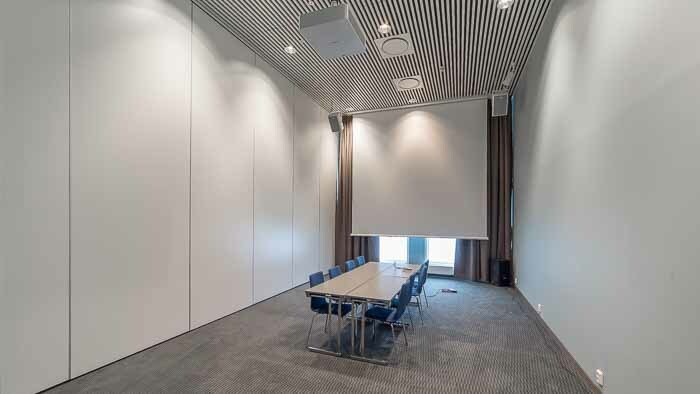 Medium sized meeting room just by the lobby/cafè. 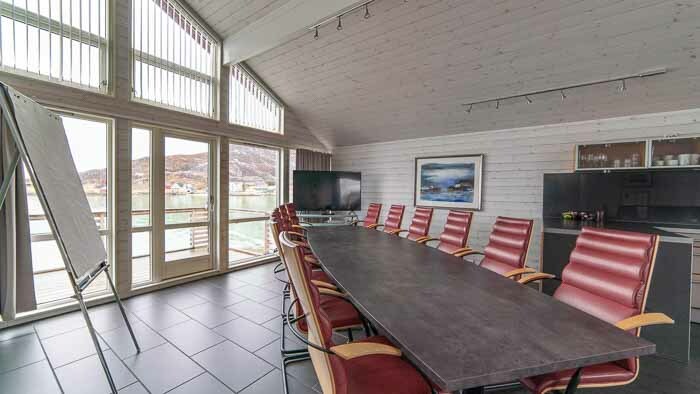 This boardroom is in our 10 person cabin by the sea, with total privacy.